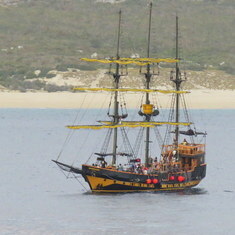 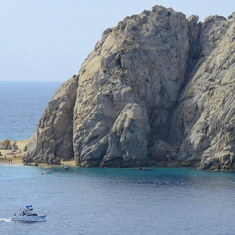 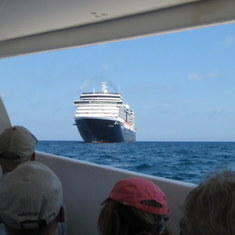 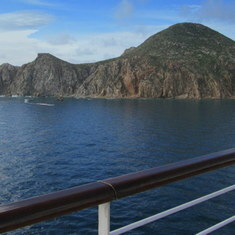 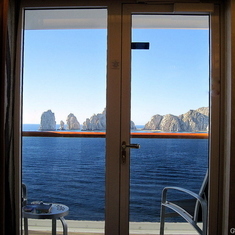 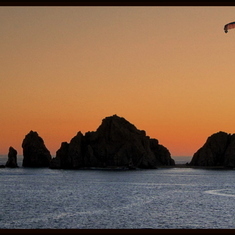 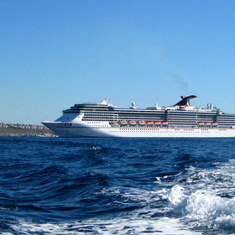 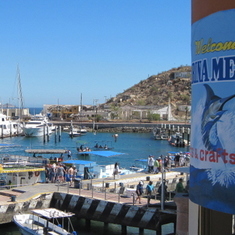 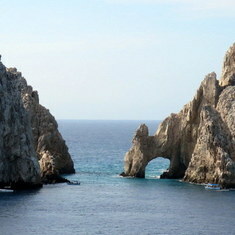 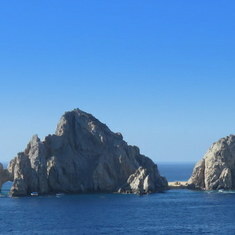 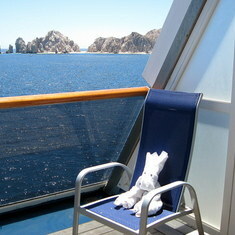 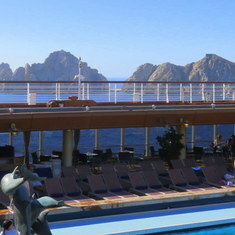 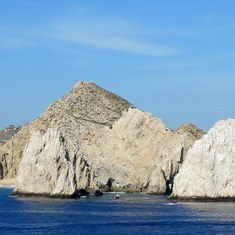 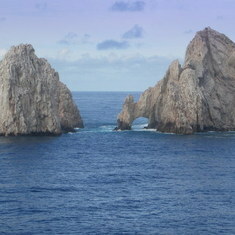 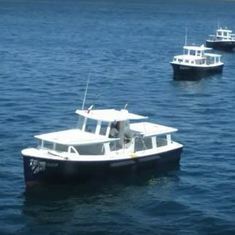 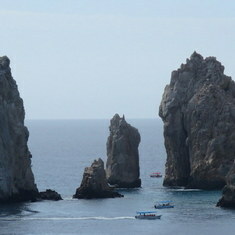 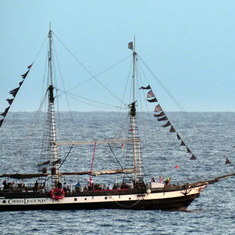 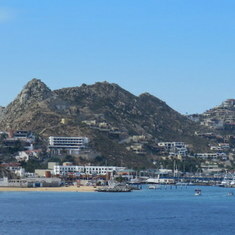 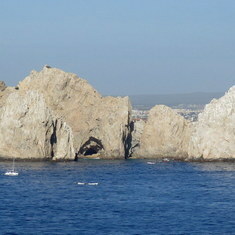 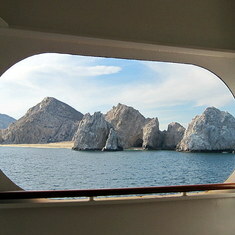 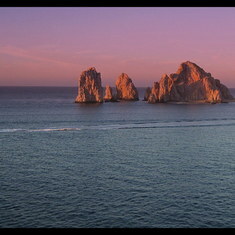 The cruise to Mexico was smooth sailing and good weather , we saw a lot of Whales in the Cabo San Lucas area . 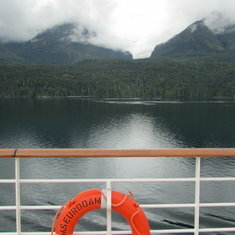 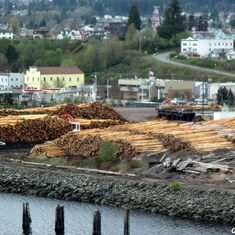 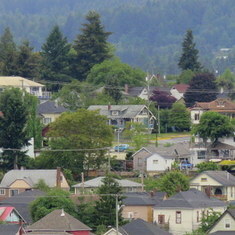 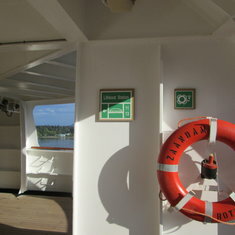 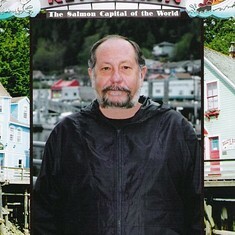 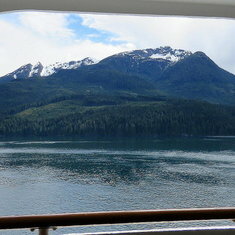 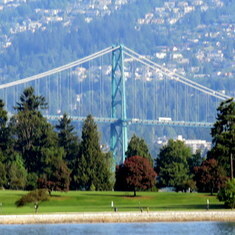 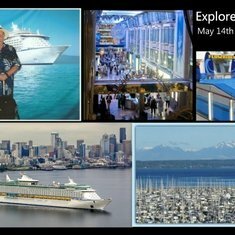 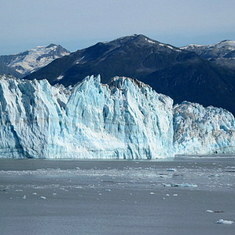 I got onboard the Explorer of the Seas in Seattle , 4 days in Canada nice weather and beautiful views. 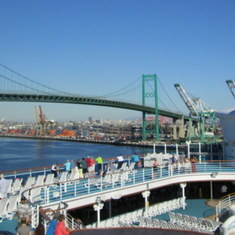 Got on the ship in Seattle great weather that day warm and sunny in Seattle. 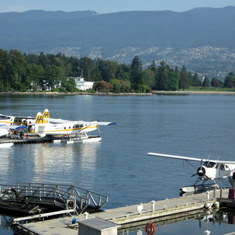 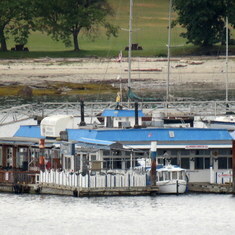 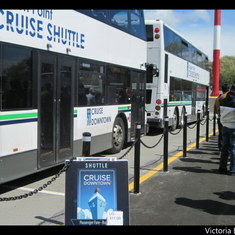 Next stop Victoria nice day there ,next day Vancouver , took the Sea Bus to North Vancouver . 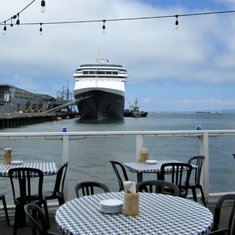 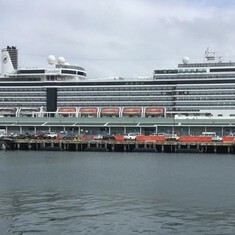 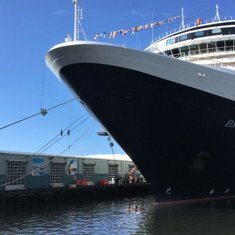 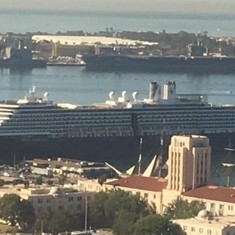 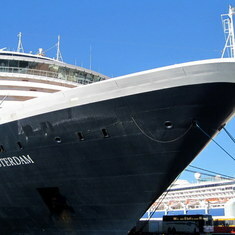 The ms Zaandam cruised started in San Diego ,next stop San Francisco , good time there cruising under the bridge , next stop Vancouver Canada a beautiful city . 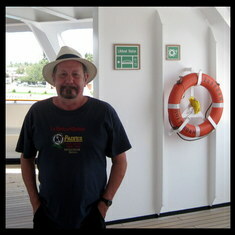 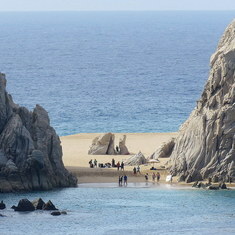 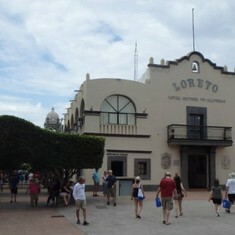 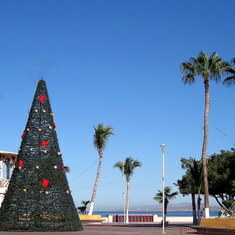 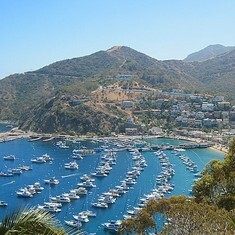 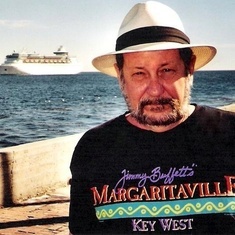 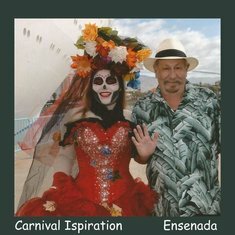 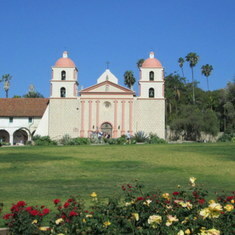 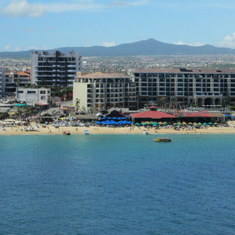 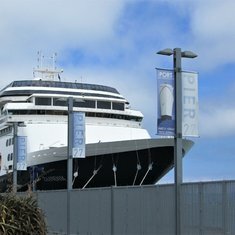 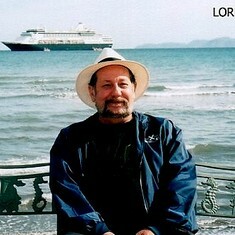 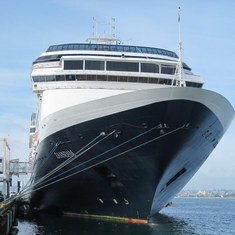 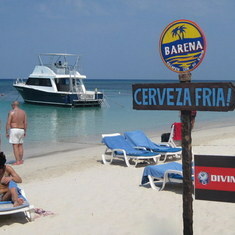 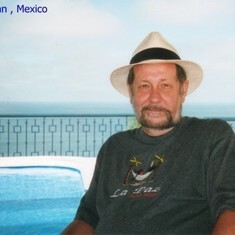 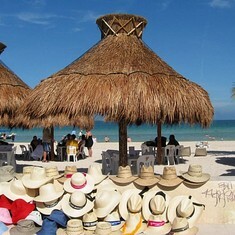 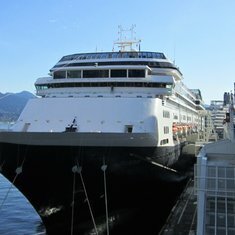 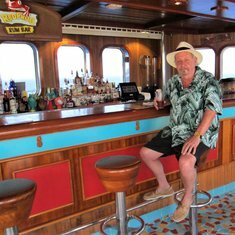 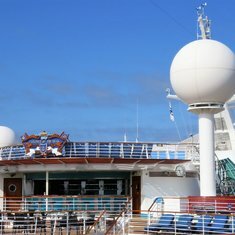 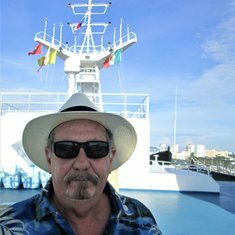 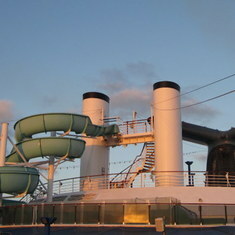 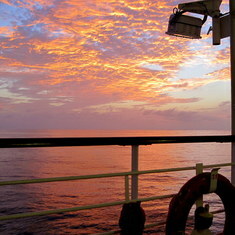 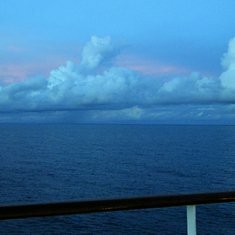 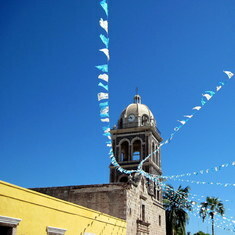 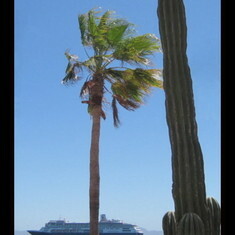 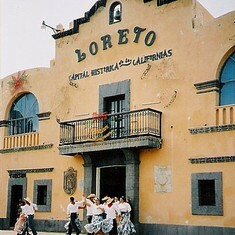 10 day cruise to Mexico and Baja , we had good weather in all ports , my favorite ports were Loreto BCS and Puerto Vallarta . 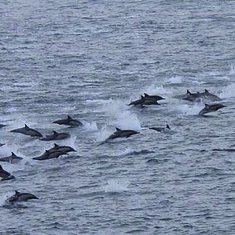 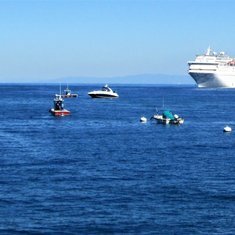 Sailed out of San Pedro , first port was Manzanillo Mexico went to my favorite restaurant, next stop Puerto Vallarta to the bus downtown , next stop Mazatlán went to Stone Island and then 2 days in Cabo San Lucas , we saw a lot of whales in Cabo. 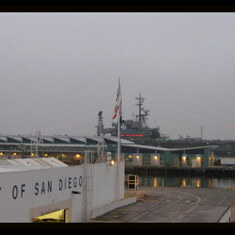 A little cold leaving out of San Diego , it warmed up soon . 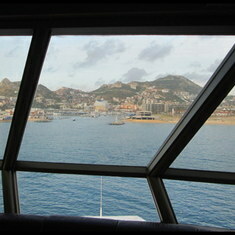 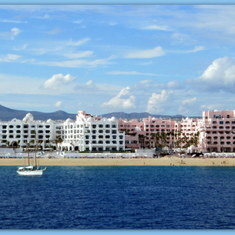 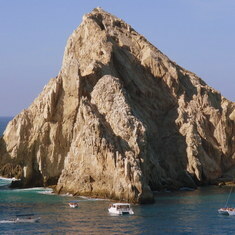 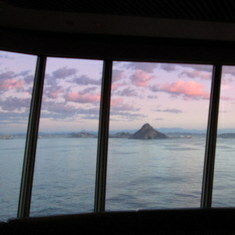 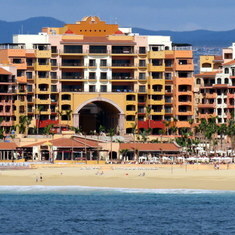 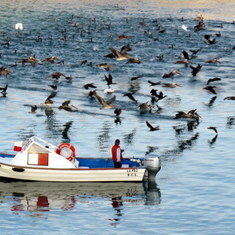 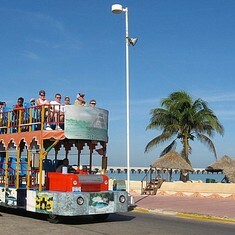 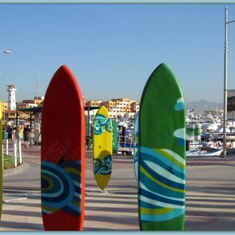 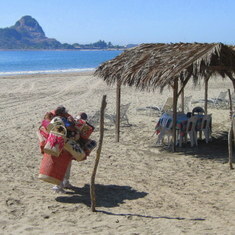 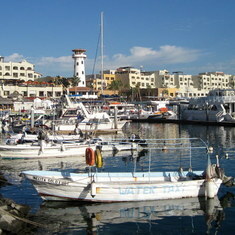 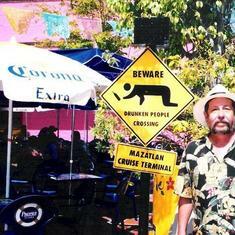 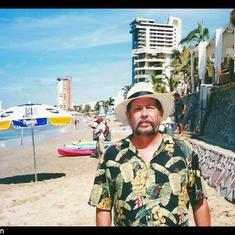 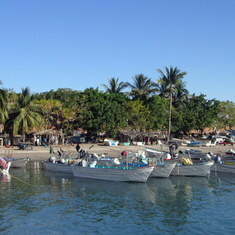 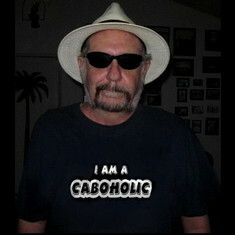 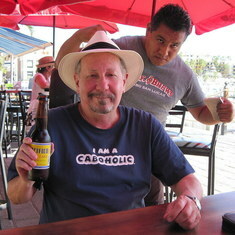 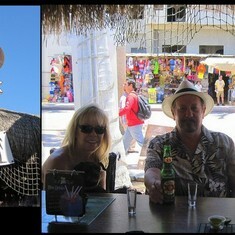 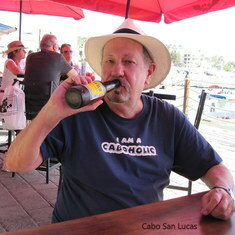 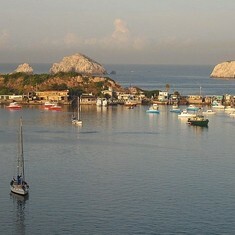 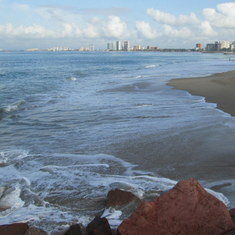 When we cruised in to Cabo it was nice and warm , next day we were in Mazatlán took the water taxi to Stone Island. 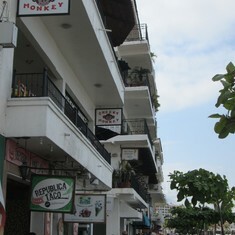 Next day we were in Puerto Vallarta hung out at the Cheeky Monkey Bar ,the next 2 days at sea. 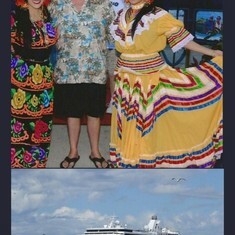 We started the cruise out of Long Beach California , first stop Puerto Vallarta , over night in Puerto Vallarta . 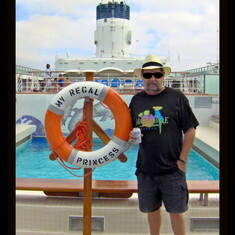 Next stop Cabo San Lucas and then back to Long Beach .We had smooth sailing on this cruise. 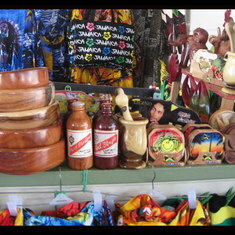 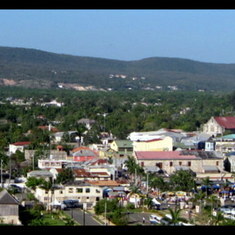 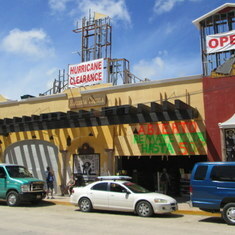 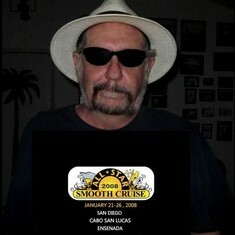 The weather was the problem it was very hot in both ports , if you cruise in September it will be hot and maybe a storm. 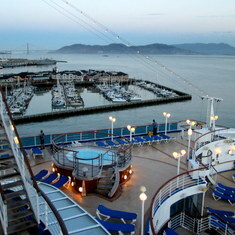 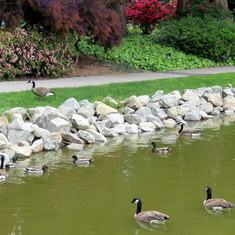 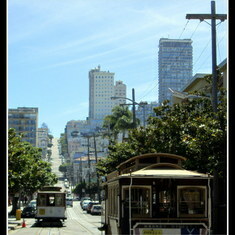 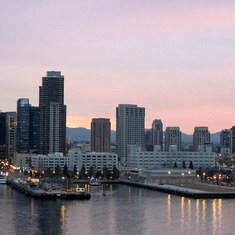 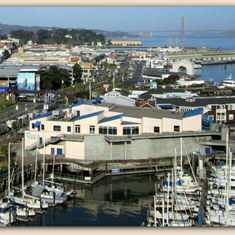 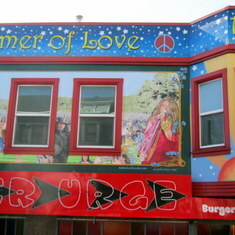 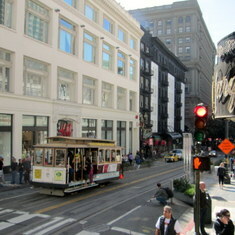 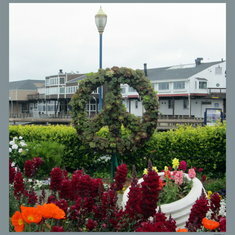 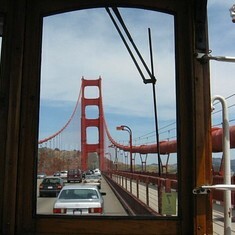 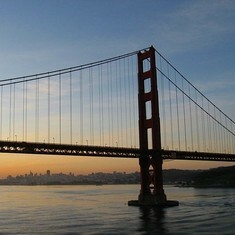 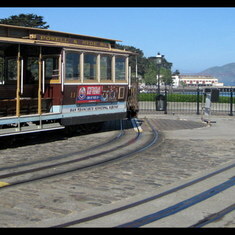 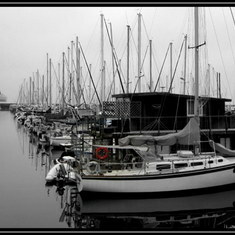 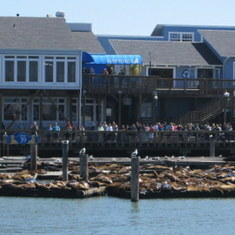 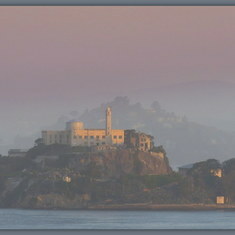 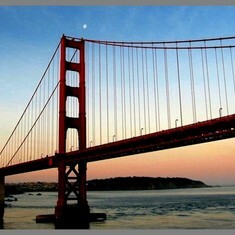 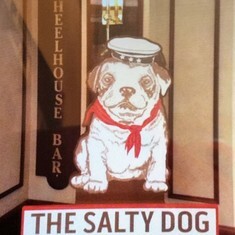 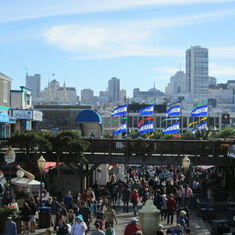 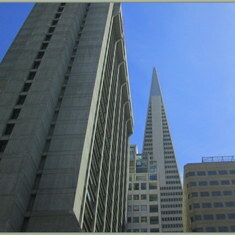 We left San Pedro and headed north to San Francisco , a day at sea and then San Francisco. 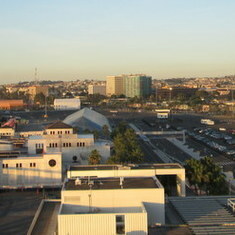 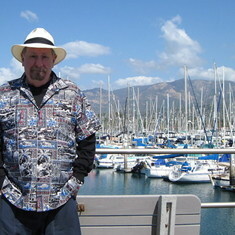 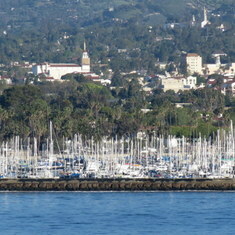 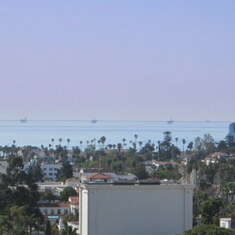 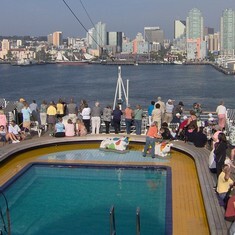 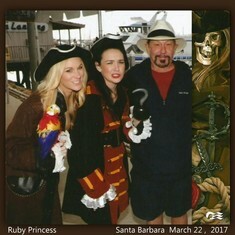 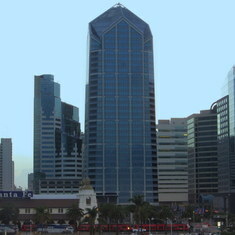 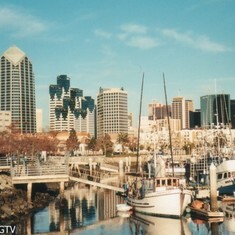 The next day at sea and then Santa Barbara , the next stop was San Diego and then Ensenada . 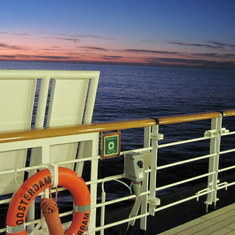 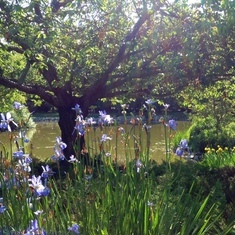 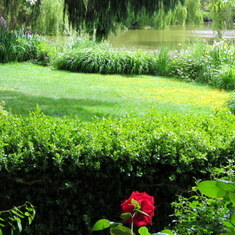 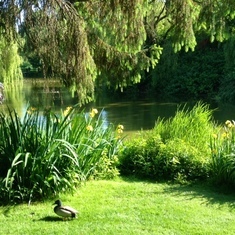 We had good weather and smooth sailing . 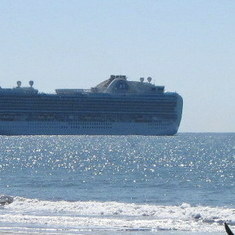 Cruised out of Long Beach cold and windy , the ship was rocking and a rolling . 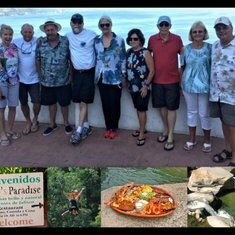 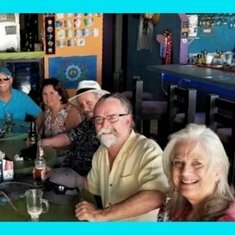 Cabo San Lucas , nice and warm stayed over night , great day in La Paz , Mazatlán nice and warm , next stop Manzanillo good weather. 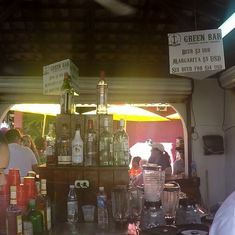 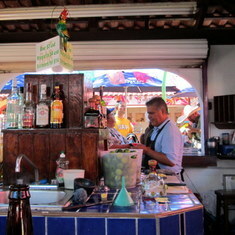 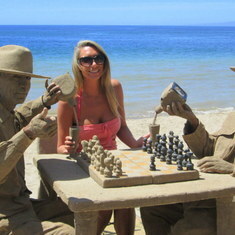 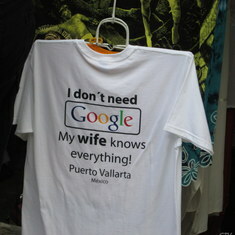 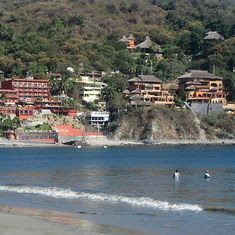 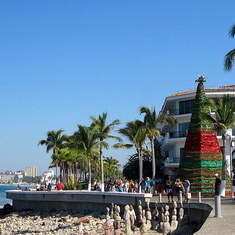 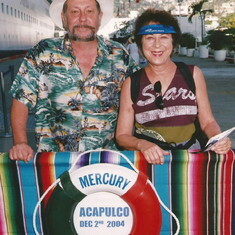 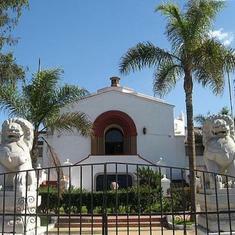 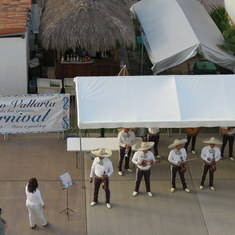 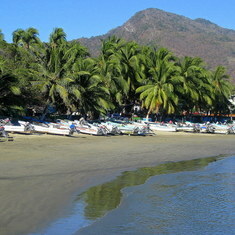 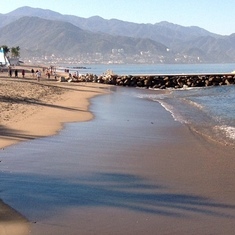 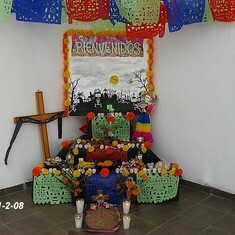 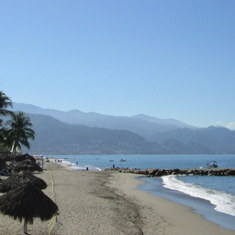 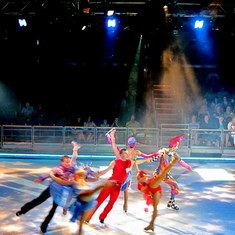 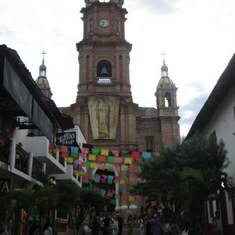 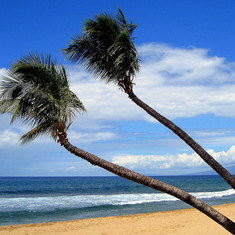 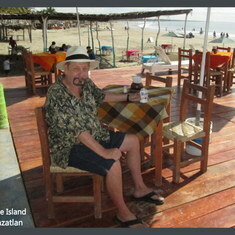 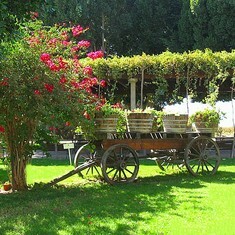 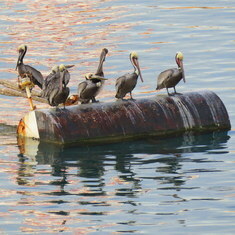 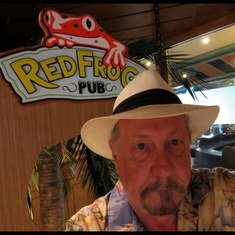 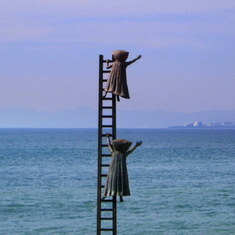 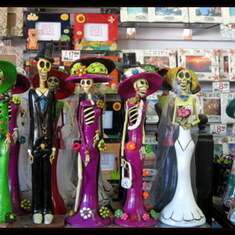 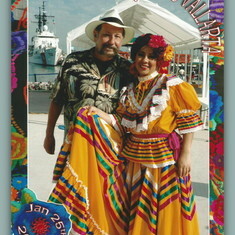 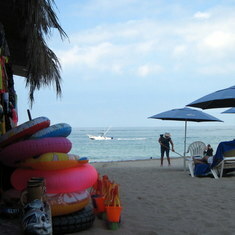 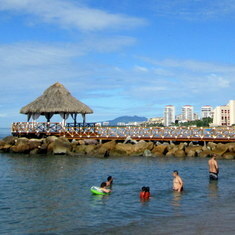 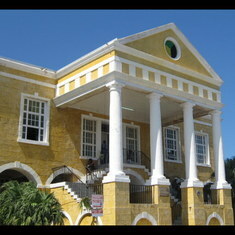 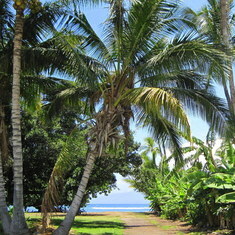 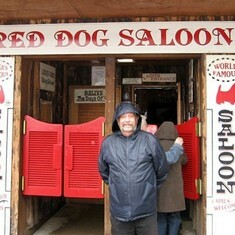 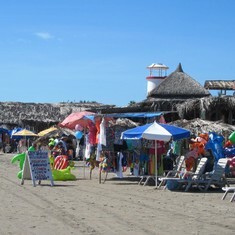 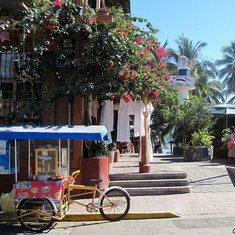 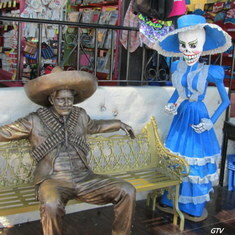 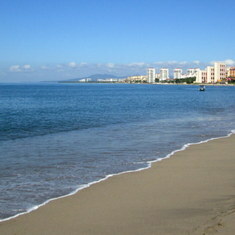 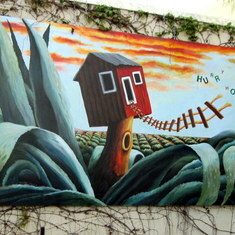 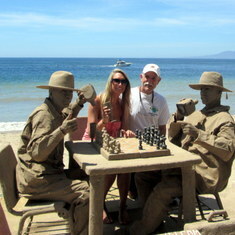 We stayed over night in Puerto Vallarta on Fat Tuesday Mardi Gras , back to Long Beach. 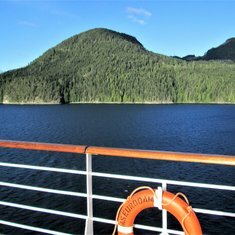 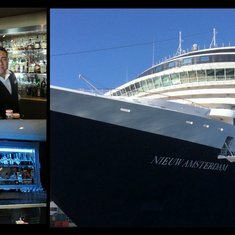 We had good weather on the Veendam cruise , the food was good , good service and I saw 3 different whales on are way back to San Diego . 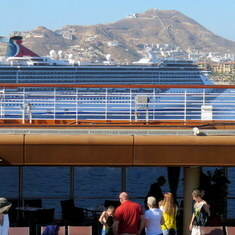 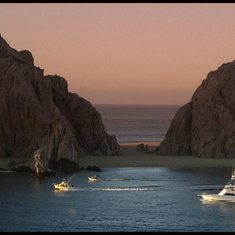 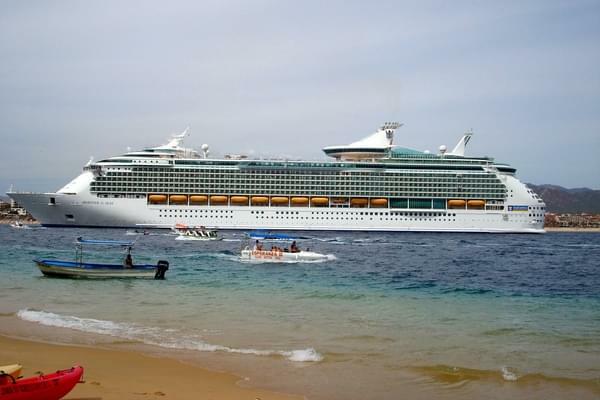 In Cabo San Lucas there were 3 ships and in Mazatlán 4 ships so those ports were crowded. 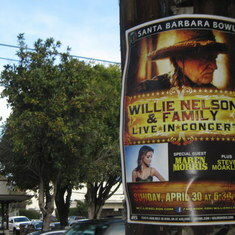 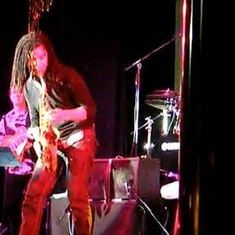 that great , but I liked the solo guitarist he was very good. 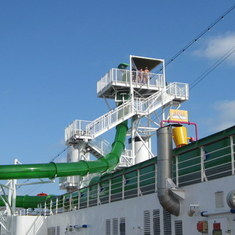 They had some problems in the Cabins some were to hot and others to cold . 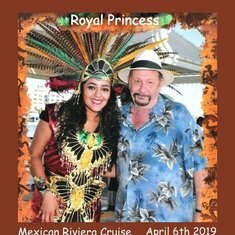 Smooth sailing, first stop San Diego , 2nd stop Cabo San Lucas hot but fun , 3rd stop La Paz Hot Hot ,fun time , next stop Loreto Hot Hot Hot ,good time .....next stop Puerto Vallarta good weather just right. 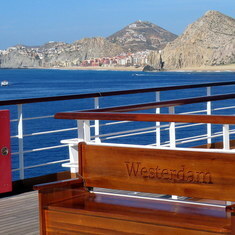 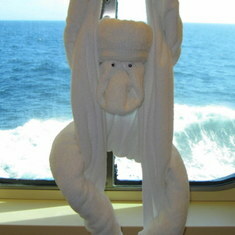 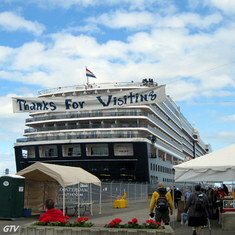 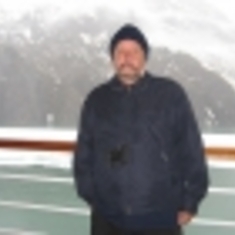 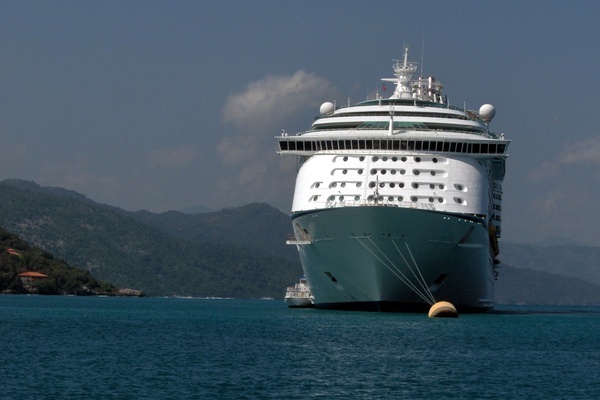 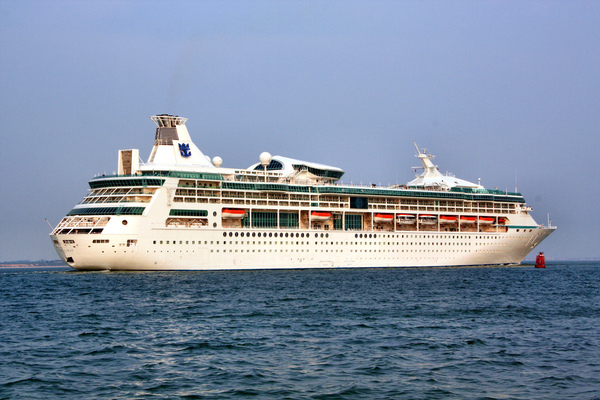 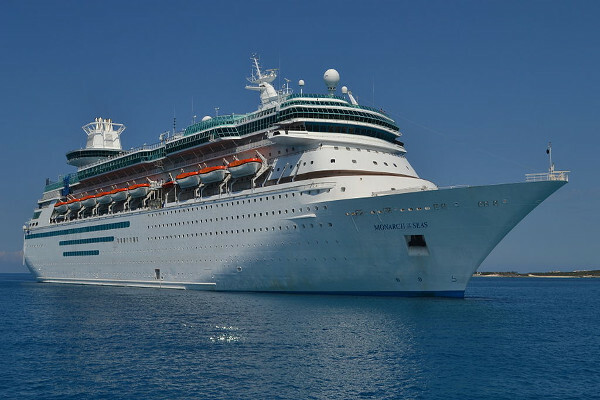 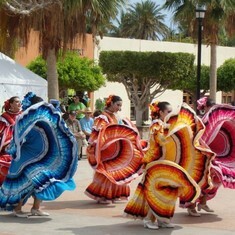 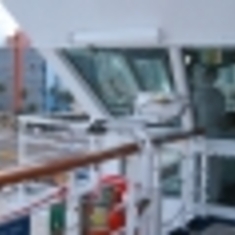 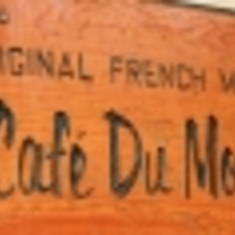 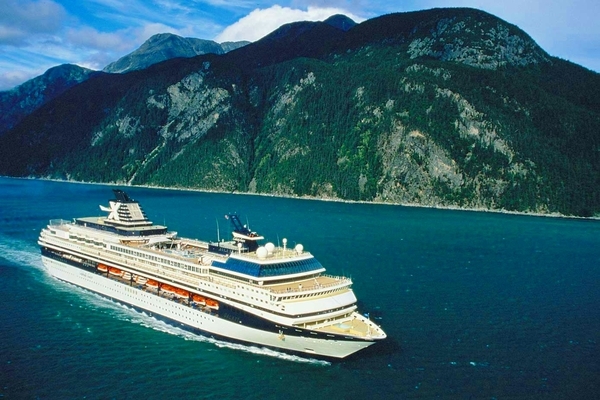 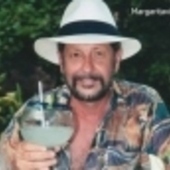 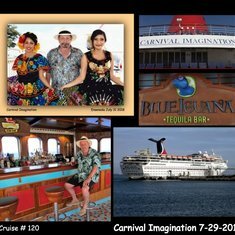 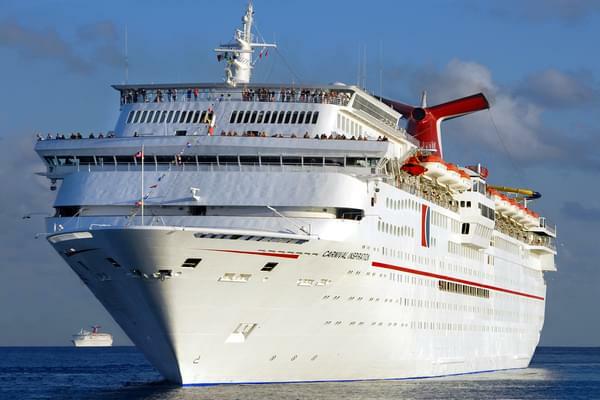 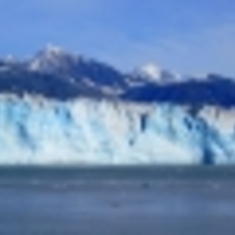 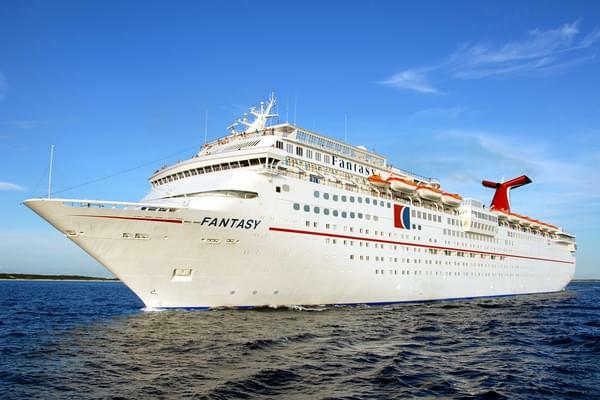 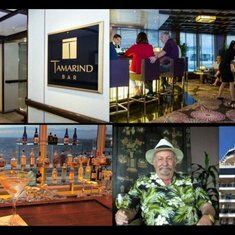 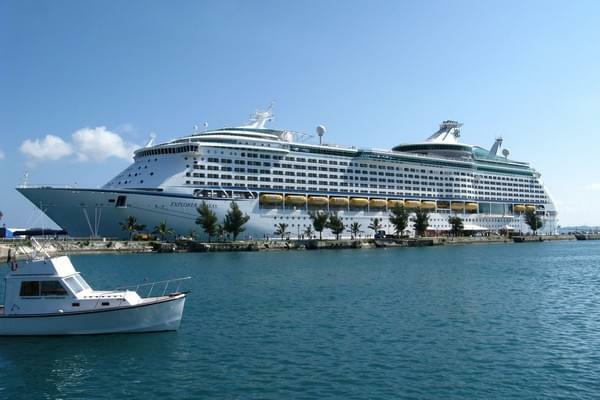 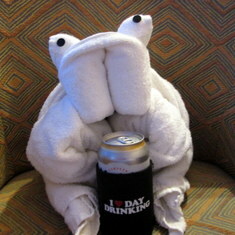 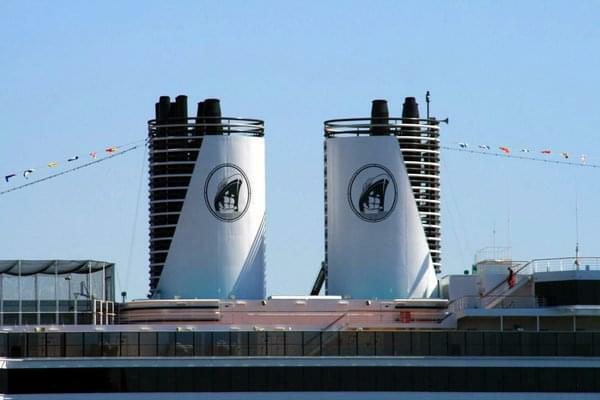 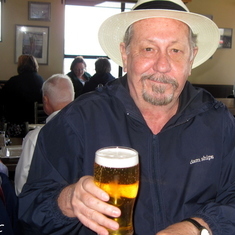 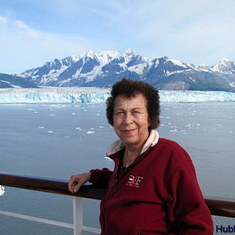 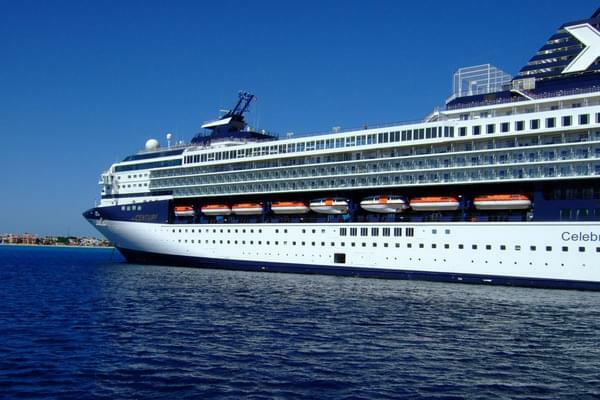 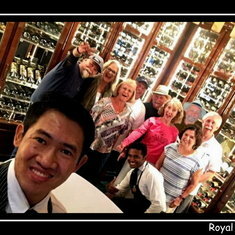 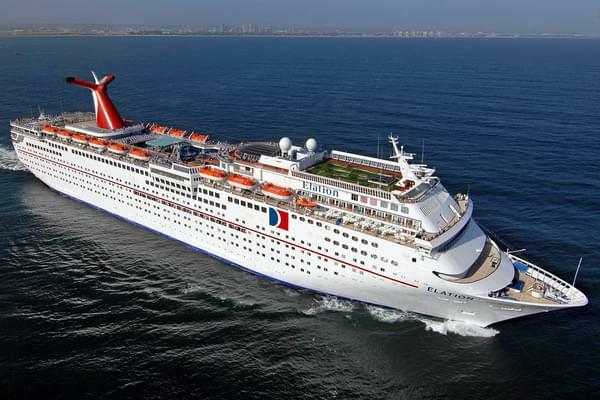 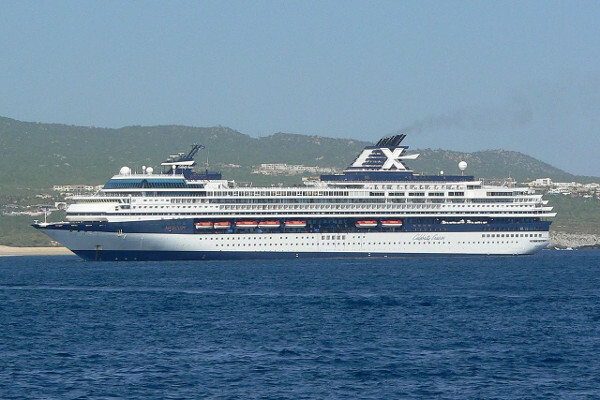 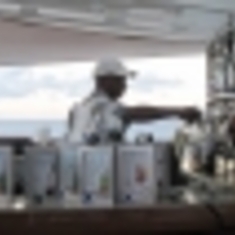 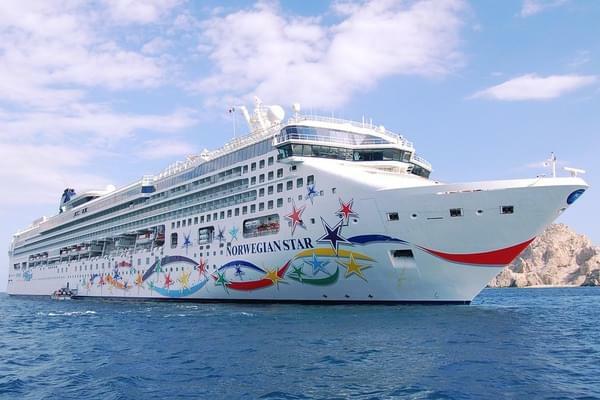 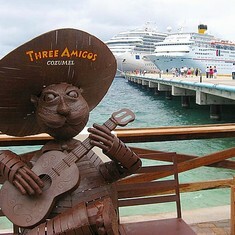 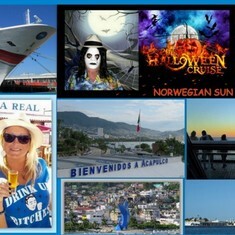 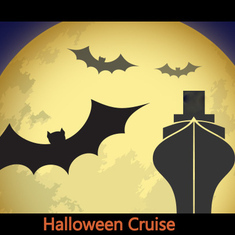 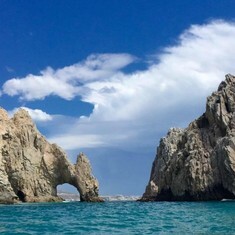 This was a 9 day cruise , with stops in Cabo San Lucas , La Paz , Loreto , and Puerto Vallarta . 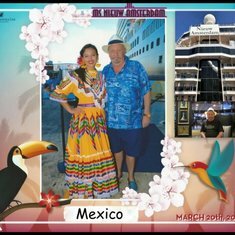 We had smooth sailing and fairly good weather, it was nice to go back to La Paz and Loreto, I had not been to those 2 ports in a few years. 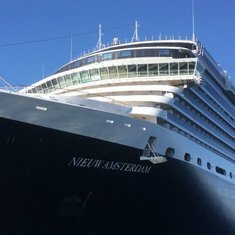 This was my first cruise on the Westerdam , we stopped in Cabo San Lucas Oct 5th 2014, about 20 days after the Hurricane . 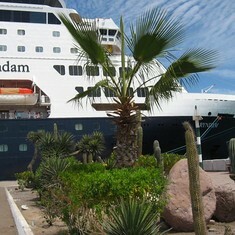 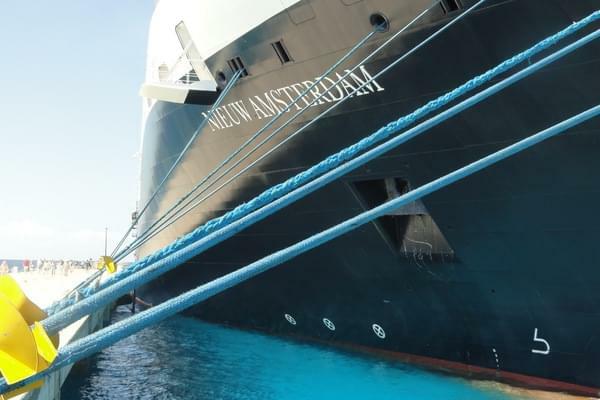 In Cabo the Westerdam sent a group of officers and crew ashore with paint and supplies to help rebuild and restore a local orphanage. 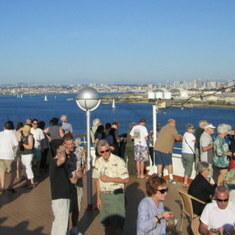 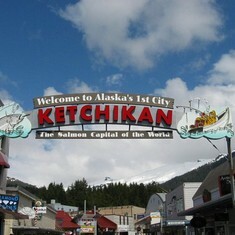 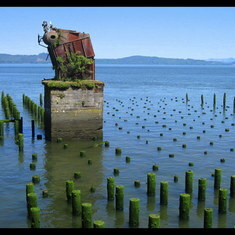 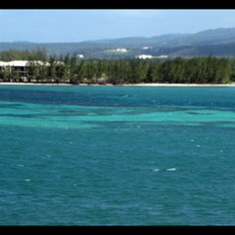 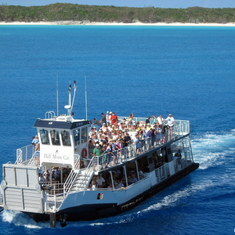 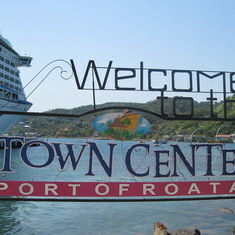 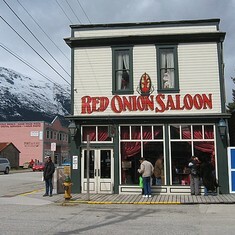 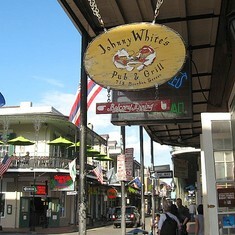 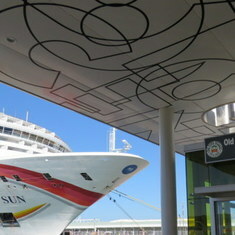 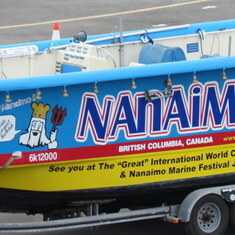 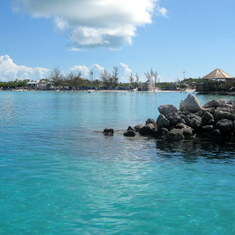 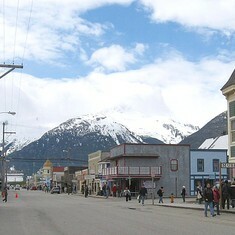 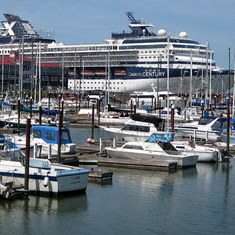 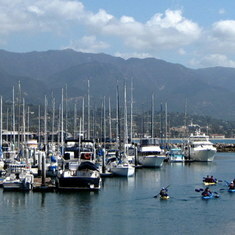 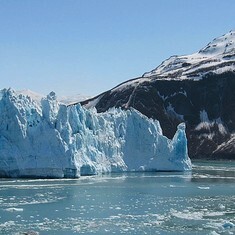 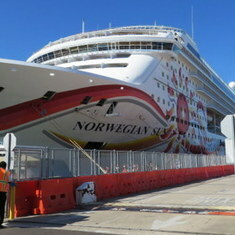 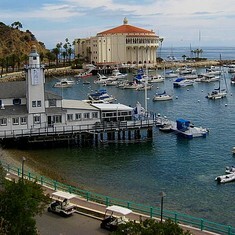 We had good weather in all the ports, it was a fun cruise. 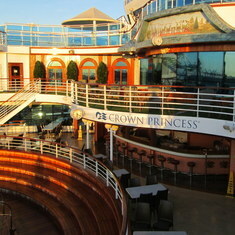 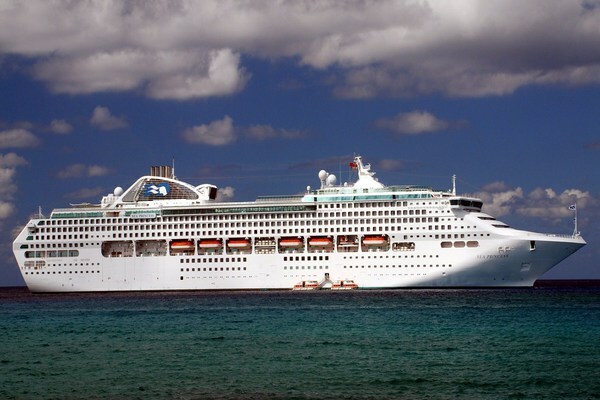 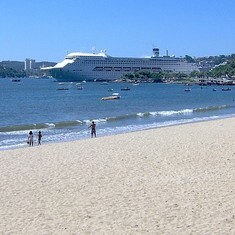 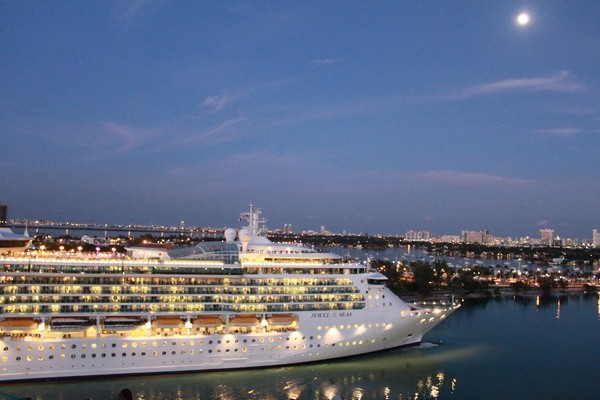 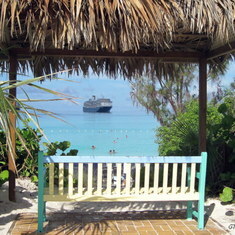 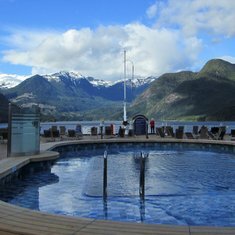 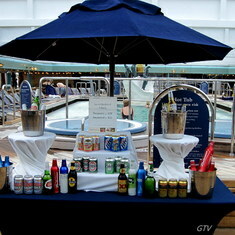 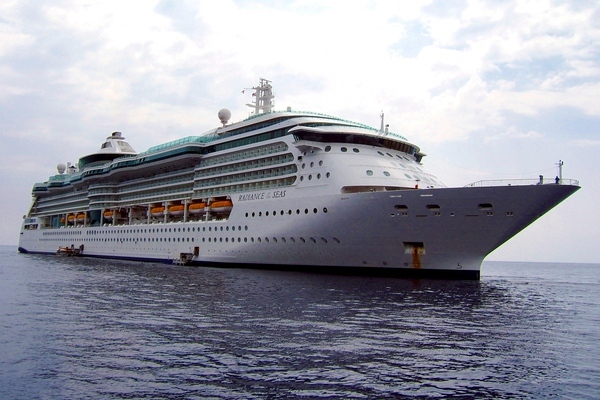 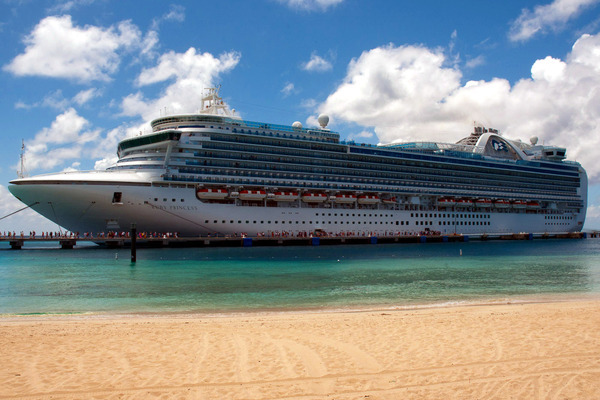 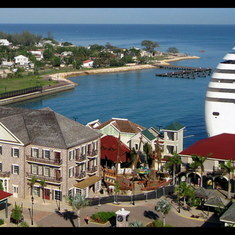 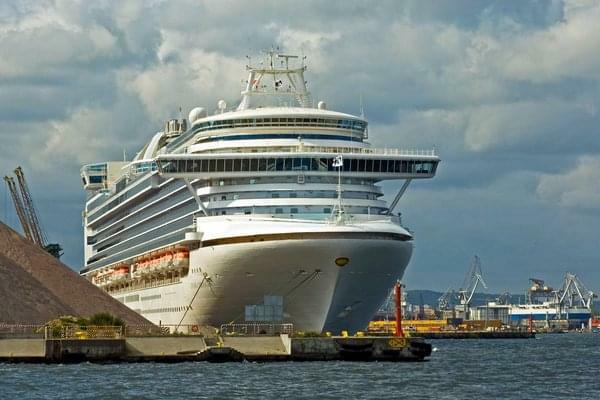 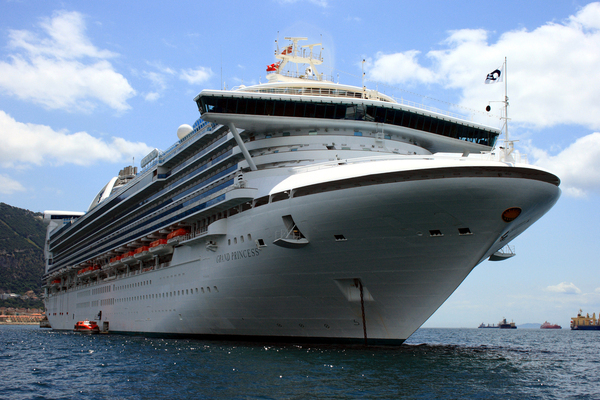 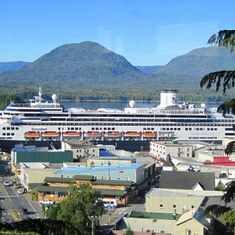 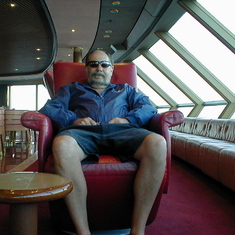 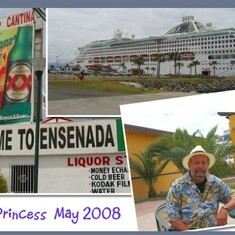 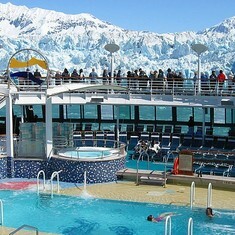 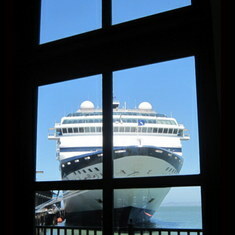 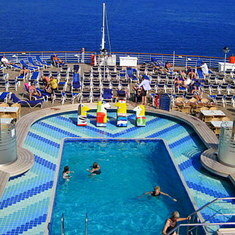 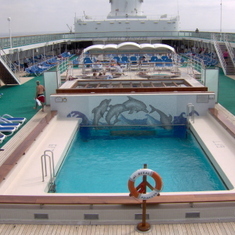 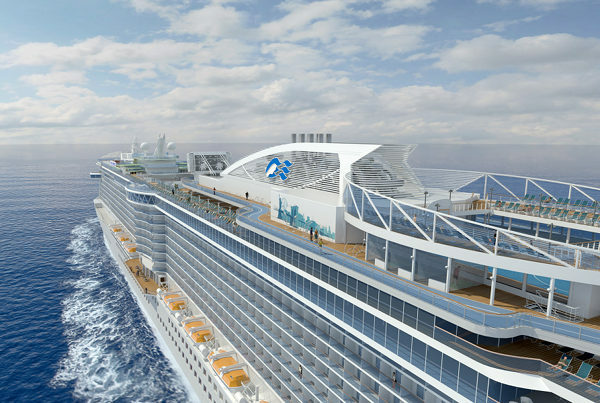 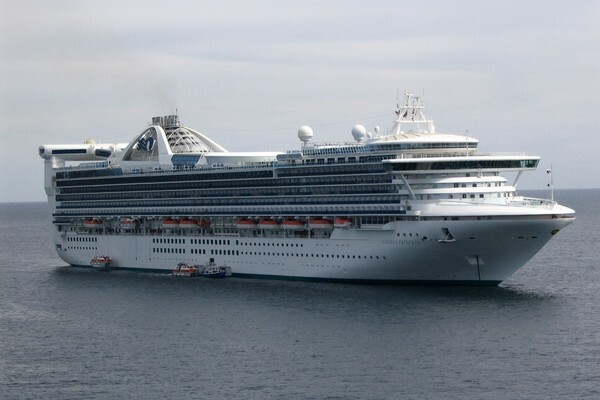 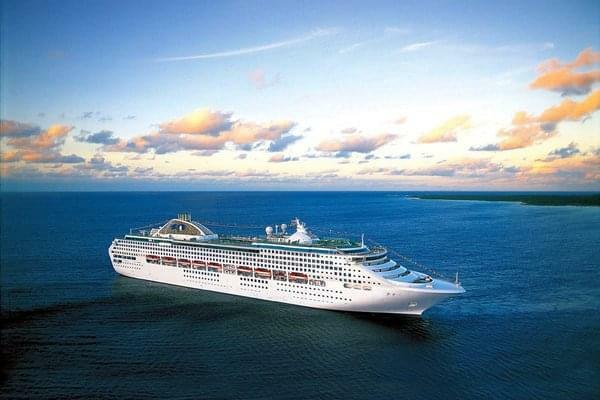 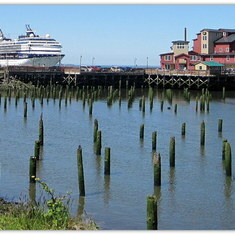 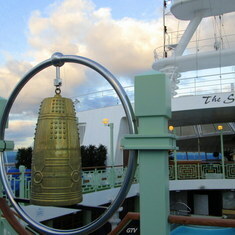 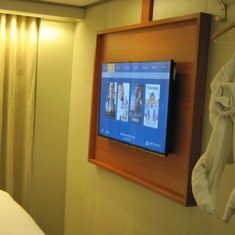 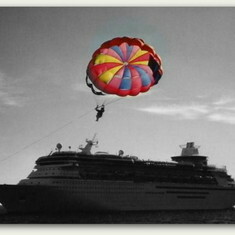 This was my first cruise on the Crown Princess , a beautiful ship , the weather was nice and sunny in every port . 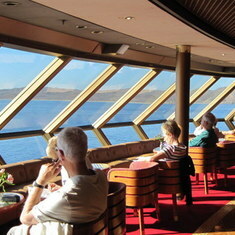 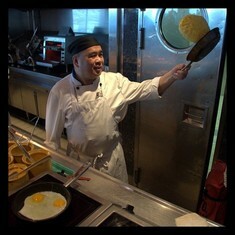 Good food on board and I like the way Princess has breakfest early in the morning , I am a early riser . 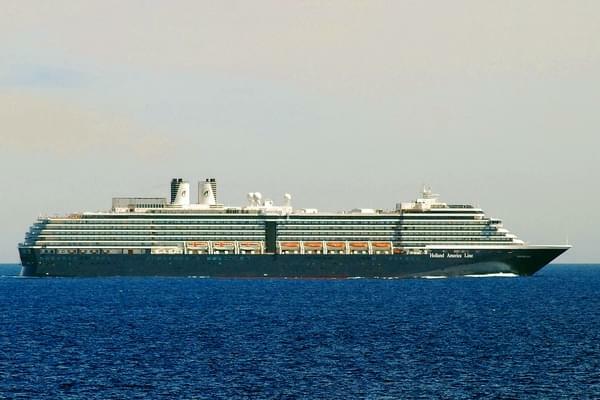 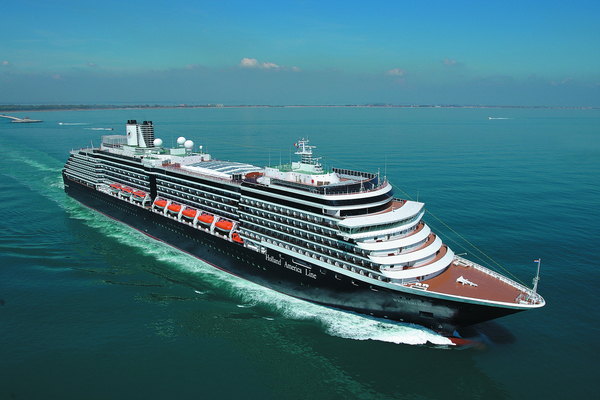 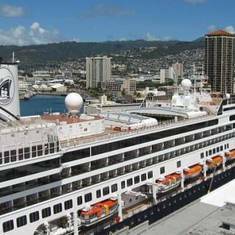 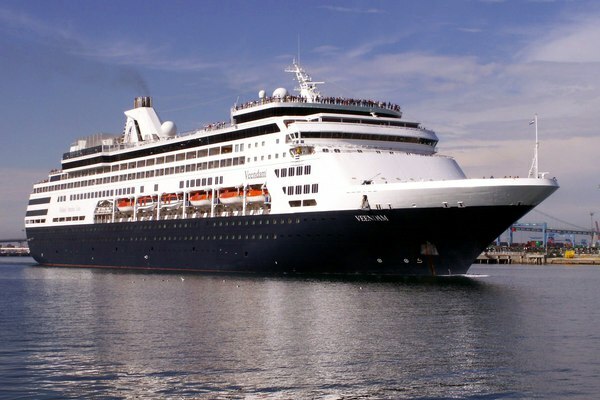 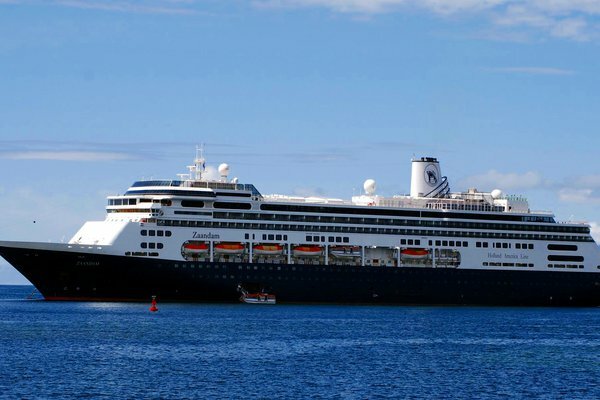 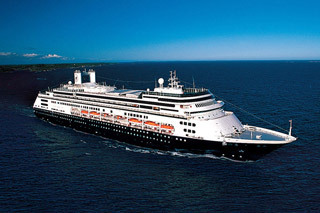 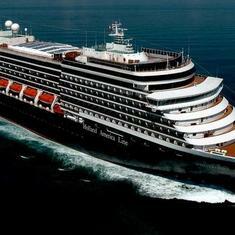 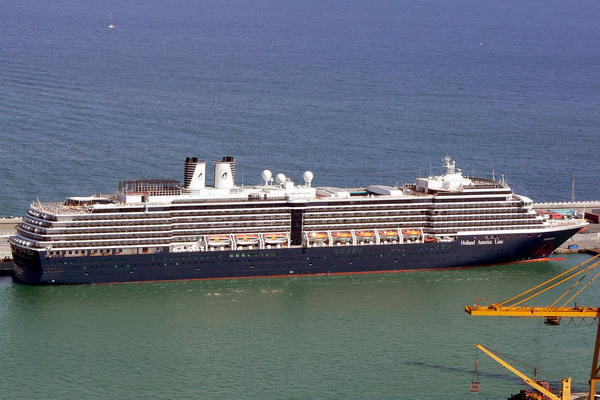 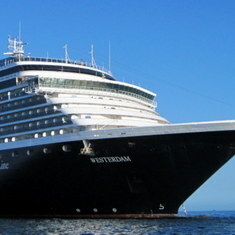 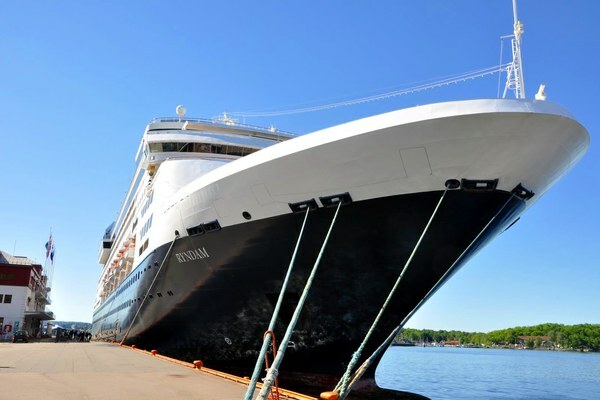 The Veendam cruised out of San Diego on March 16th 2014 , are first stop was Cabo San Lucas , 4 ships in Cabo that day and it was spring break so it was very crowded , next stop Mazatlan , a nice warm day . 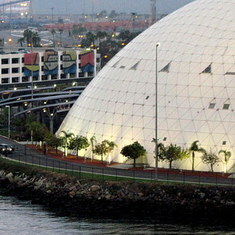 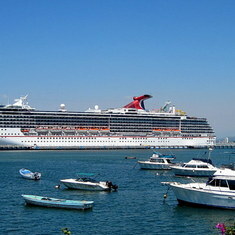 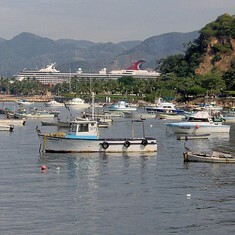 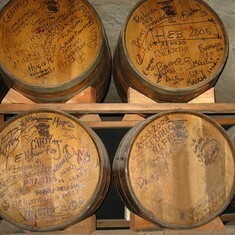 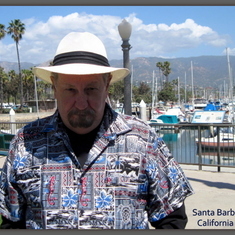 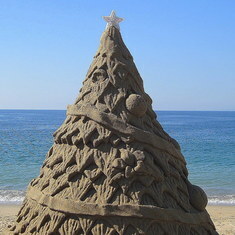 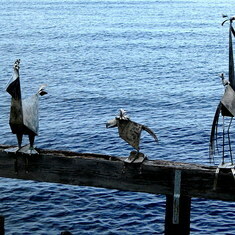 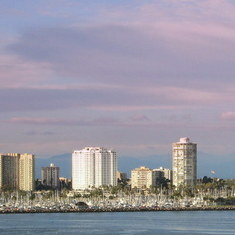 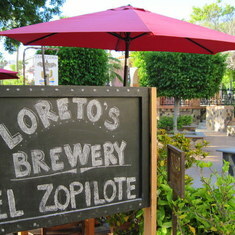 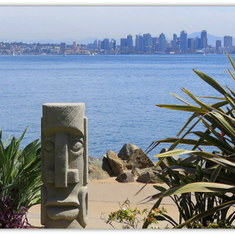 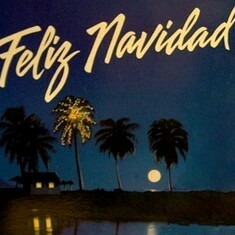 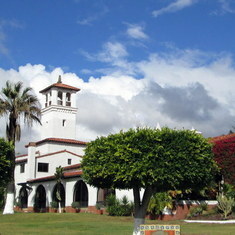 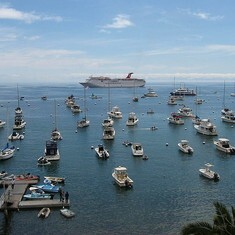 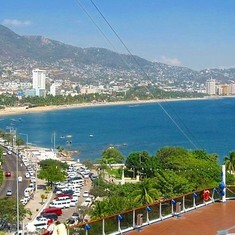 The last port of call was Puerto Vallarta , my favorite port , then back to San Diego my hometown. 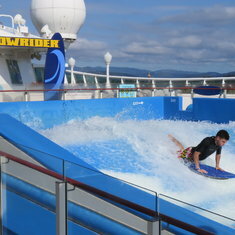 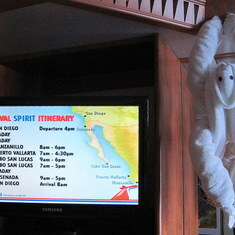 9 day Mexican Riviera Cruise to Manzanillo, Puerto Vallarta, Cabo San Lucas, Ensenada.The ship just came out of dry dock so it had the new Twister Waterslide and the new Serenity Area. 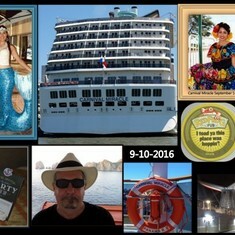 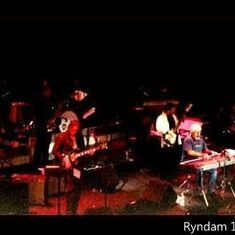 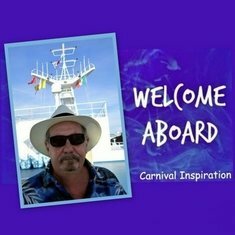 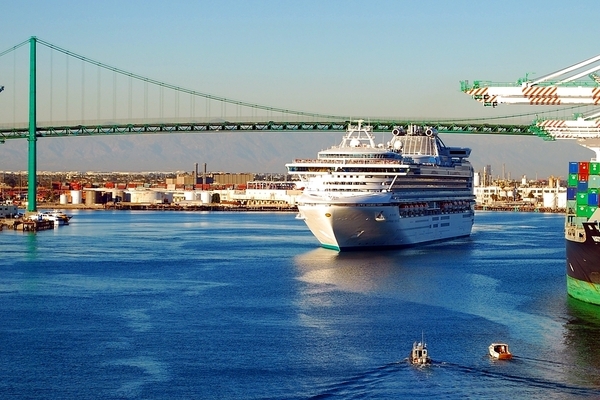 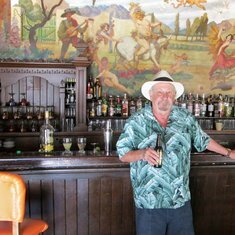 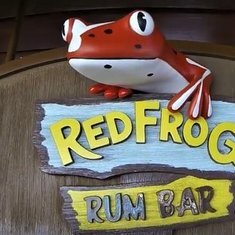 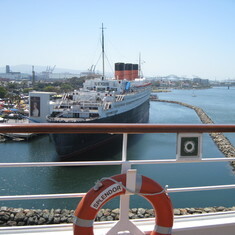 I have cruised on the Oosterdam many times ,we cruised out of San Diego to the Mexican Riviera for 7 days , good food and smooth sailing. 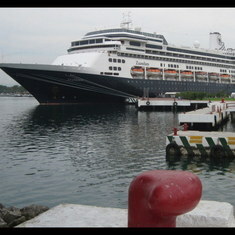 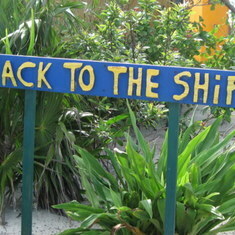 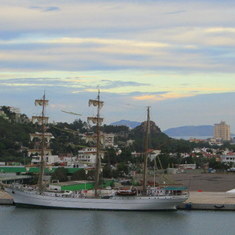 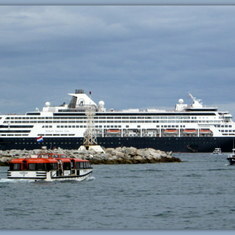 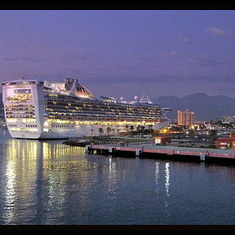 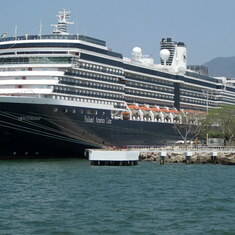 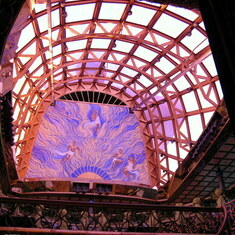 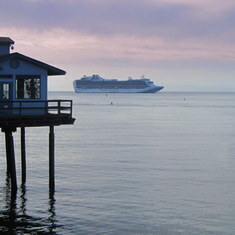 The ship stayed over night in Puerto Vallarta ,one of my favorite ports. 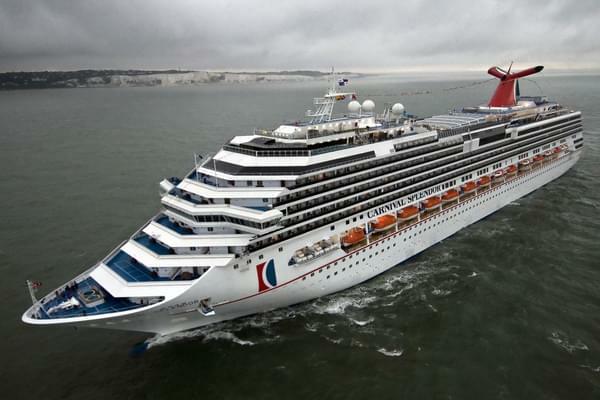 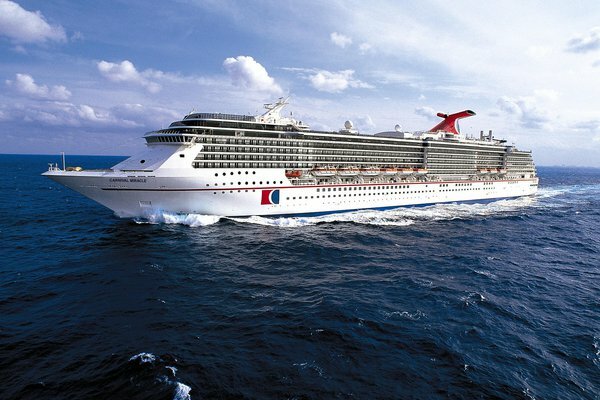 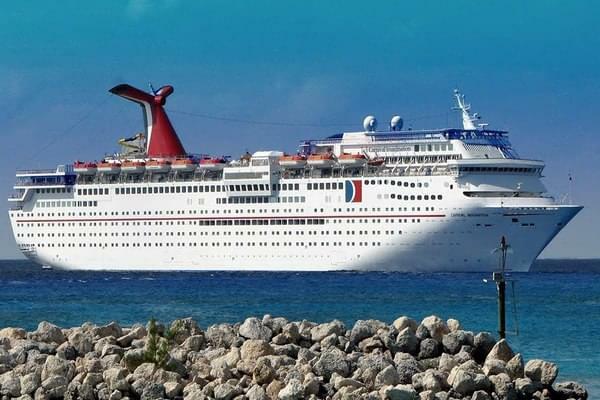 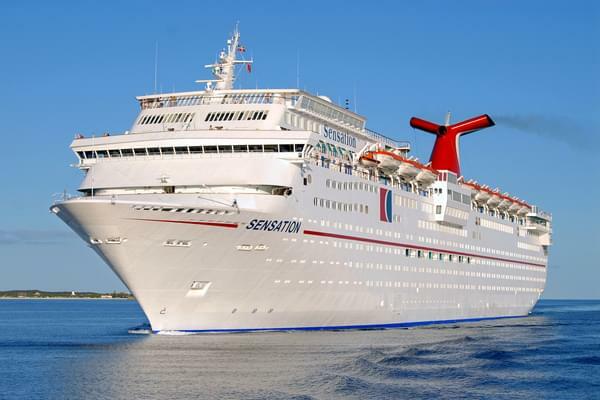 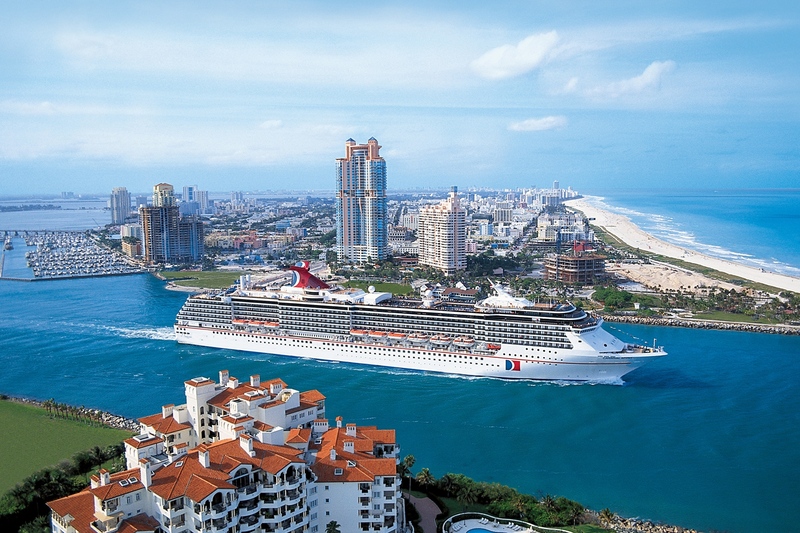 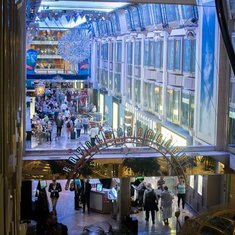 This was my first cruise on the Splendor, this Carnival cruise had good food selection, great desserts, a Burrito Bar, a Mongolian Grill, a Rotisserie room, a Sushi Bar, and a Deli. 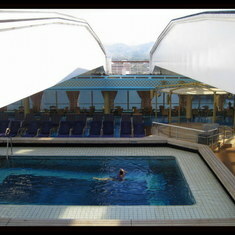 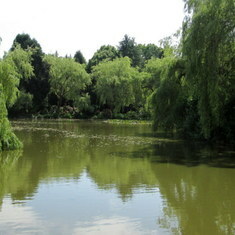 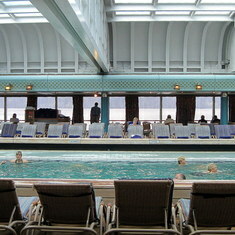 The main Lido pool has the A big screen called Seaside Theatre, showing movies, concerts, sports events. 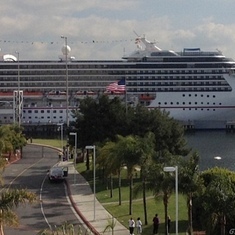 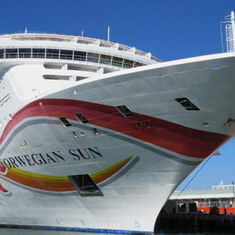 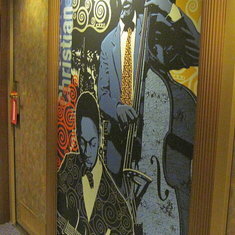 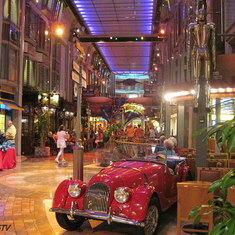 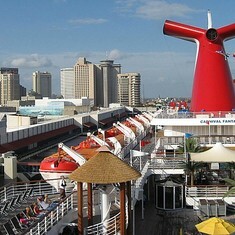 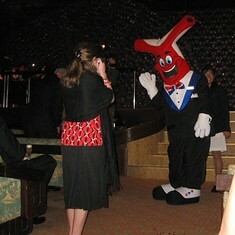 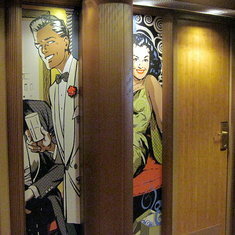 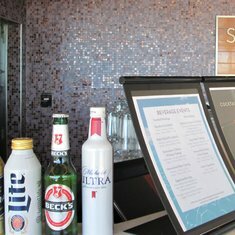 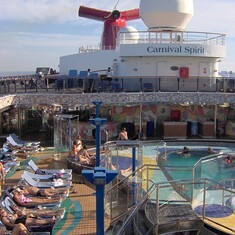 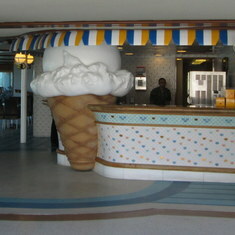 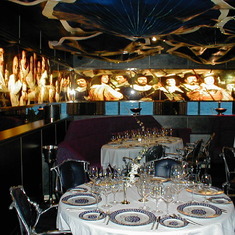 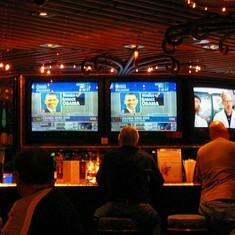 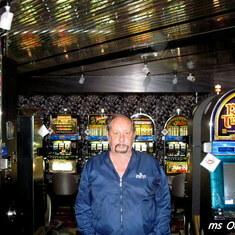 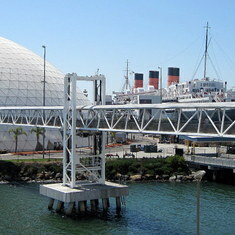 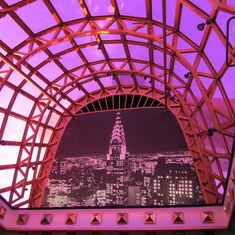 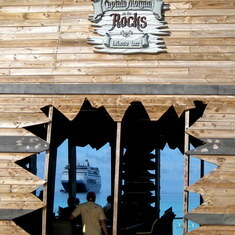 This ship has a big Casino and a lot of good Music and Fun Bars, I plan to Cruise on the Splendor again. 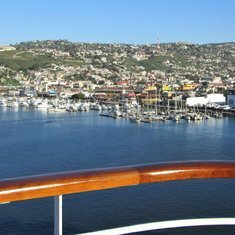 San Diego to Mexican Riviera 7 days on the Oosterdam, this cruise we went to Cabo , Mazatlan and Puerto Vallarta. 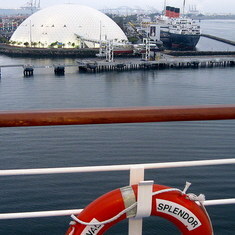 On this cruise the Capatain of the Oosterdam gave me my 100 days at sea Medallion. 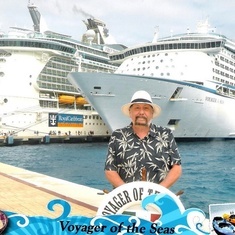 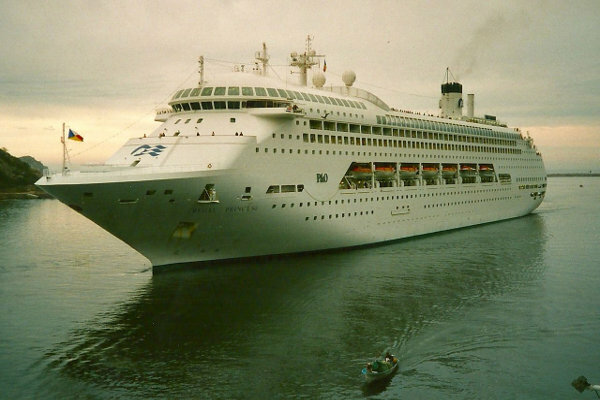 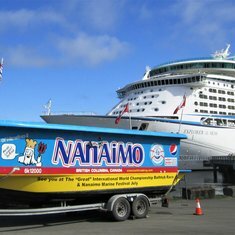 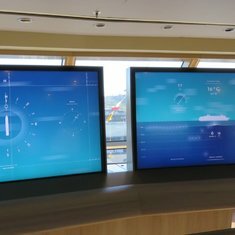 I have cruised on the Century a few times before this Cruise, I like the size of the ship, it is easy to get to place to place. 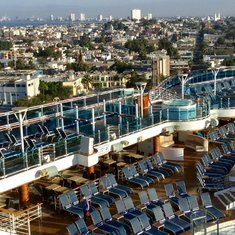 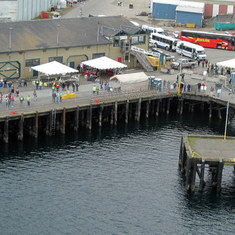 We got on the Golden Princess in Seattle and headed north , I have only cruised on the Golden Princess one time , it is a beautiful ship.We had good weather not to cold. 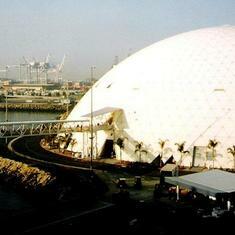 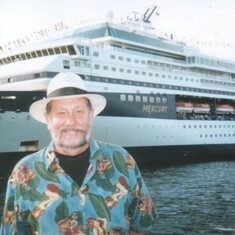 I cruised on the Oosterdam many times ,the ship cruised out of San Diego to Mexico for a few years.This was a re postion cruise , with a good price , good food and a vrey good crew. 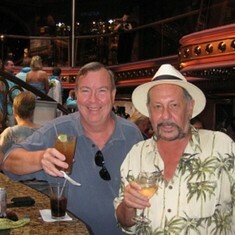 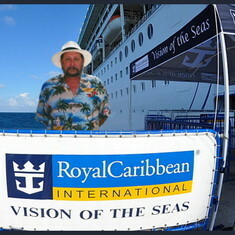 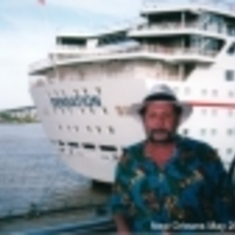 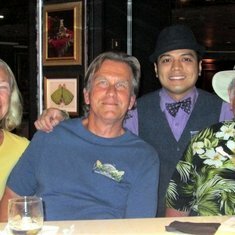 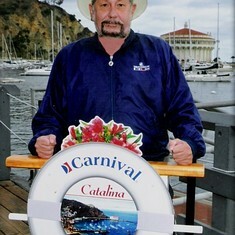 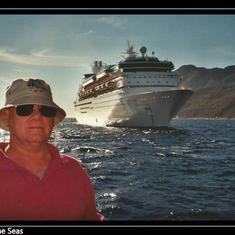 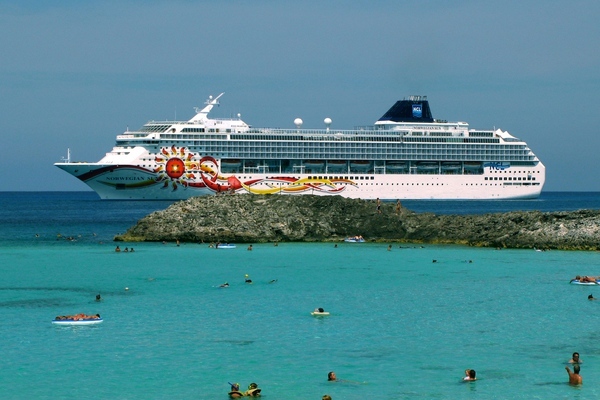 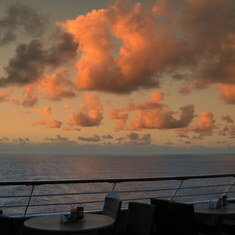 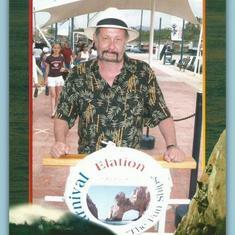 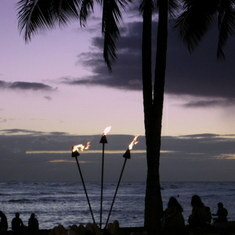 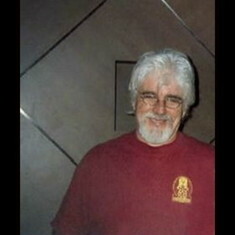 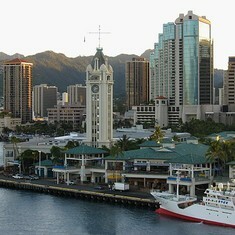 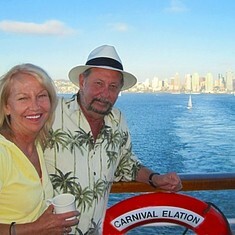 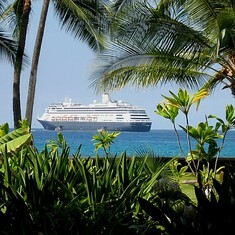 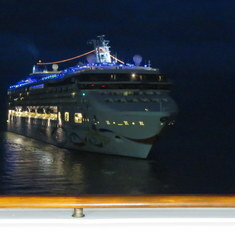 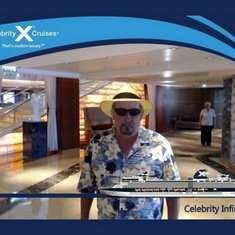 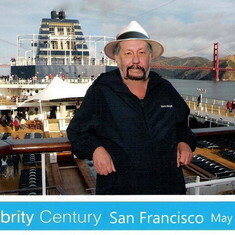 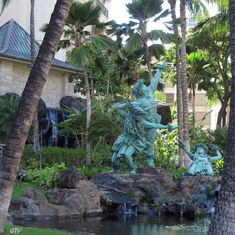 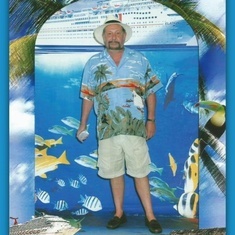 This was a 15 day cruise to Hawaii from San Diego , we had good weather in all the islands until we got to Kauai. 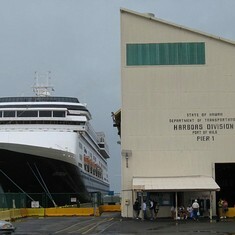 In Kauai we hit a storm the ship was rocking and rolling, the Captain waited for 3 hours and then decided we would not be able to dock the ship in Kauai. 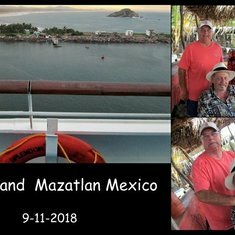 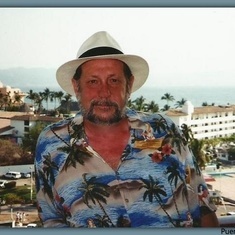 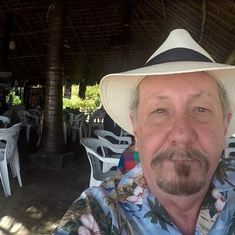 The ports were great , we stopped in Mazatlan , I had not been there for about 2 years , they had a lot of police and military around the port , I felt safe. 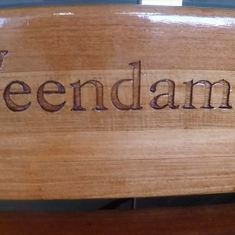 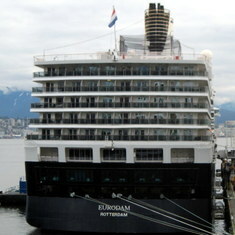 The Veendam is a old ship and not very big ,it was clean and a good crew, the problem was that you could smell gas fumes all over the ship. 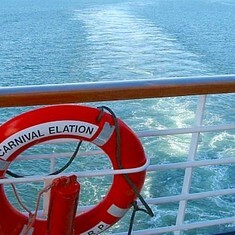 Another cruise on the Carnival Elation from San Diego to Mexico , we had the Elation here in San Diego for over 2 years , I crusied on her a lot , I liked the size of the Elation .